Proton’s latest addition Proton Preve was announced a few days ago with much excitement and promise, but today, the photo below surfaced on Facebook, with over 43 shares at post time. Our observation sees that the car may have broke it’s lower left arm, but that’s as much as we can speculate with such photo. The incident is believed to have happened in the peninsular of Malaysia, and no further details have been made available. 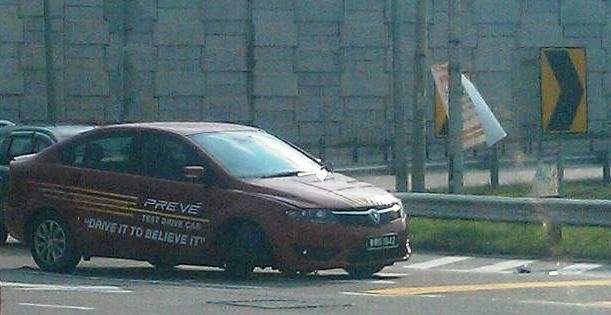 The photo will no doubt dent Proton’s ambition to improve it’s name as a leading global car maker, as the Preve was suppose to be the car manufacturer’s first global car ever produced. Photo was obtained from Azmi Idris’s facebook.